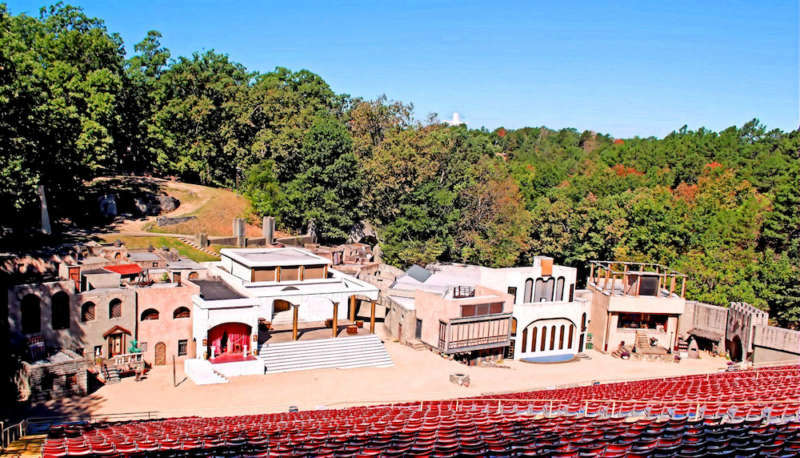 The biggest attraction in Eureka Springs, Arkansas — a town of 2,074 people 300 miles northwest of Little Rock — is The Great Passion Play, a theme park that puts on a nearly two hour re-enactment of the betrayal, crucifixion and resurrection of Jesus Christ. The play is staged 80 nights of every year with 150 actors on a scale recreation of Biblical Jerusalem. But despite the play reportedly drawing millions of Christian tourists annually, Eureka Spring’s gay community still managed to beat an anti-gay municipal ballot measure in 2015. Portland filmmakers Donal Mosher and Michael Palmieri capture the story in their new documentary The Gospel of Eureka. The Gospel of Eureka contrasts the behind-the-scenes preparations of The Great Passion Play — including scenes where the hunky actor playing Jesus smears fake blood all over his body in anticipation of his public flogging — with behind-the-scenes preparations of local queens performing at Eureka Live Underground’s gospel-themed drag show, complete with big hair and Christian music lip-synchs. But rather than contrasting the two groups as opposed to one another — anti-gay Christians on one side and gay atheists on the other, —The Gospel of Eureka shows a local transwoman and her boyfriend excitedly attending The Great Passion Play. Later on, the film shows a partnered gay man who believes that his being Christian is the only thing that might save him from burning in hell. 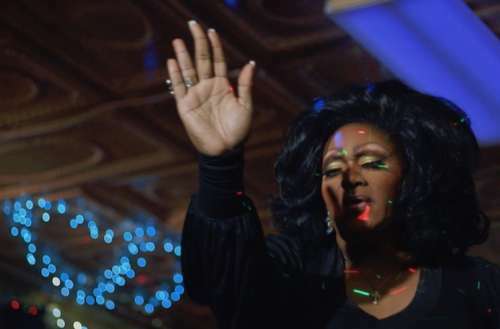 But just as there are Christians in the gay community, there’s at least one non-believer performing in the film’s gospel drag show and probably LGBTQ performers hiding amongst The Great Passion Play’s cast (though the film doesn’t show any). Just goes to show you can’t assume anything about a person based on their identity or beliefs. While the film obviously enjoys the stage magic of The Great Passion Play — especially as the actor playing Jesus instructs his Centurion cast mates on the best way to crucify him before later ascending into heaven via a bulky underwear harness — the filmmakers don’t let the play’s political undertones go without comment. The film’s narrator, transgender performer Justin Vivian Bond, makes sure to point out that the play’s original script (created over 50 years ago) contained anti-Semitic and racist language. Bond also mentions that the 67-foot Jesus sculpture welcoming visitors to The Great Passion play actually has its back turned towards the stage. Despite the city’s Christian tourism, Eurkea Springs’ city council passed a city-wide non-discrimination ordinance in 2015 that forbade all businesses from exercising anti-LGBTQ discrimination in employment, housing and public accommodations. The city council then placed the ordinance on the ballot so citizens could decide on its fairness. The city voted in favor of it in a 579 to 231 vote. 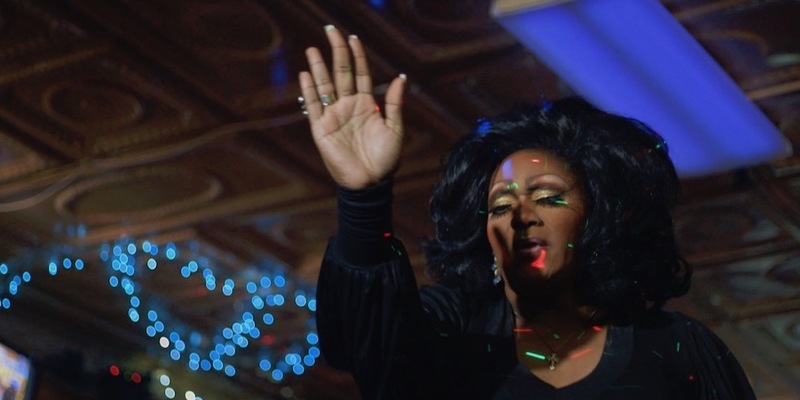 The Gospel of Eureka is playing at the 2018 Frameline Film Festival in San Francisco this June. What do you think of the story told in The Gospel of Eureka? Sound off in the comments.